The first thing you should know about Wisconsin DUI laws is the fact that they are actually called OWI laws (operating while intoxicated). However, there is no semantic difference between the two terms, and this certainly doesn’t mean that the penalties for a drunk driving incident are less severe in Wisconsin than in other states in the U.S. On the contrary, Wisconsin has some of the harshest laws and penalties associated with DUIs. Today, we are going to provide you with a comprehensive updated overview of all you have to know about Wisconsin DUI laws. Wisconsin has another term for what most states call BAC (Blood Alcohol Concentration). In Wisconsin, you face a PAC (Prohibited Alcohol Concentration). The “per se” limit is of 0.08%, which means that even if you don’t show any signs of inebriation, you will immediately get an OWI. However, even if your PAC is lower than 0.08%, if the officer who pulled you over has any reason to believe that you’ve been drinking, you can still get an OWI. For instance, he or she might ask you to perform a field sobriety test. Wisconsin is what you’d call a “zero tolerance” state when it comes to underage drinking and driving. So if you are under the age of 21, the PAC limit is of 0.02%. If you are stopped by a police officer who is entitled to ask for a chemical test to determine your PAC level and you refuse to take it, you will have to pay a fine and your driver’s license will get suspended automatically. This is because Wisconsin DUI laws have what is called the implied consent law, which means that if you were driving while intoxicated, you automatically agree to take a PAC test. If this is your first offense, you will lose your license for 1 year. However, if this is the second time you get an OWI, you will have to spend 2 years without it, and 3 years in the case of a third offense DUI. In Wisconsin, a first offense DUI is considered a traffic violation, not a crime. Which is why if you get sentenced with one, you won’t be facing any jail time. The only thing that might lead to you getting imprisoned is having someone under the age of 16 in the car with you at that time. In this case, the offense is no longer called a traffic violation, but a misdemeanor. However, you will get your license revoked for 6 up to 9 months. Even so, you have the possibility of applying for an occupational driver’s license right away. This will allow you to drive to and from work. You should also remember that you will have to pay a fine of $150 up to $300. For a first offense, Wisconsin DUI laws do not require you to get an ignition interlock device installed. That is unless your PAC level is over 0.15%, in which case you would get an aggravated DUI. Wisconsin is focused on rehabilitating people who are on their first offense DUI, which means that you will also have to attend alcohol treatment sessions and be educated about drinking and driving. A second offense DUI is considered a misdemeanor under Wisconsin DUI laws. That means that you might go to jail for at least 5 days, up to 6 months. You will also lose your license privileges for 12 up to 18 months, and have to pay fines ranging from $350 up to $1.100. You can also try applying for an occupational driver’s license, but you will have to wait 45 days. We should also mention that you will need to install an ignition interlock device on any vehicle that you might drive in the next 12 to 18 months after you get your driver’s license back. An ignition interlock device is attached to your car in order to prevent you from driving if you have consumed any alcohol. Before being able to start the car, you will have to blow into a tube that is attached to this device. If the device detects any traces of alcohol, the car won’t start. In the case of a third offense DUI, the fines get bigger, ranging from $600 to $2.000. The jail time that you are faced with ranges from 45 days up to an entire year, and you will lose your driving privileges for a minimum of 2 years and a maximum of 3 years. The ignition interlock device will have to be installed in your car for at least a year, up to 3 years. If the fourth offense DUI is still not as serious as the fifth and subsequent, you still face up to a year in jail and 3 years of license revocation. The fines are similar to a third offense DUI, and of course you will also have to get an ignition interlock device installed. 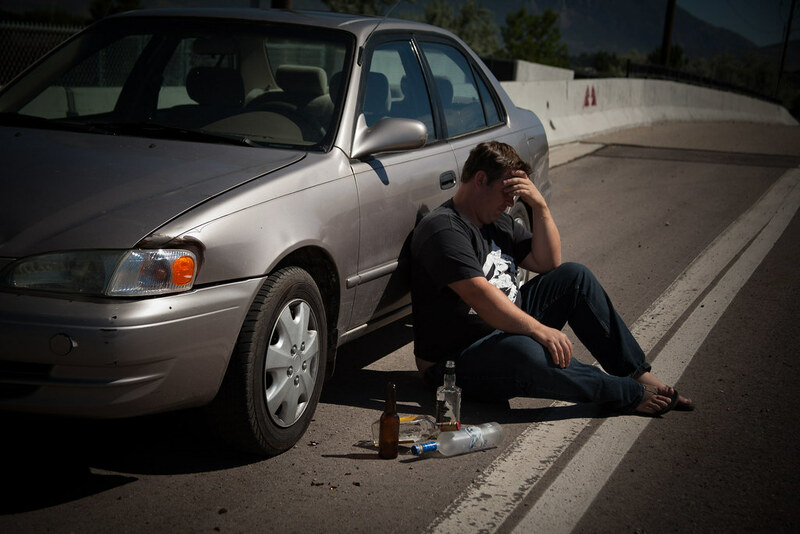 However, the fifth and sixth offense DUIs are already considered class H felonies, which means that you risk getting sent to jail for a maximum of 6 years. All other subsequent DUI offenses are considered felonies, and as expected, the penalties only get more severe. What Happens in the Case of a Deadly Accident? If you were driving while intoxicated and you caused an accident where someone lost their life, you will be facing 25 years in prison and fines of up to $100.000. If this is not your first offense, you can spend up to 40 years in jail. We hope this updated version of a previous article in which we touched upon Wisconsin DUI/OWI and the penalties you should expect has told you everything you wanted to know about the topic. Wisconsin views drunk driving as a very serious offense, which is why the penalties fit the crime. The best way to make sure that you never have to face a DUI conviction in Wisconsin (and any other state for that matter) is to not drive a car if you’ve consumed any amount of alcohol whatsoever. Hey Buddy!, I found this information for you: "Wisconsin DUI Laws – A Comprehensive Guide". Here is the website link: https://www.duiauthority.com/wisconsin-dui-laws-guide/. Thank you.